the nation's largest and most reliable GSM network. easyGO wireless plans offer international features plus talk, text, mms, and data. It's a plan that fits your needs at a price that fits your budget. Need to stay in touch with your friends and family around world? Quality and affordability never looked so good. Truly experience the effortlessness of easyGO. Stay connected to your loved ones overseas with our Unlimited International Plan that includes unlimited calling to 80 countries! 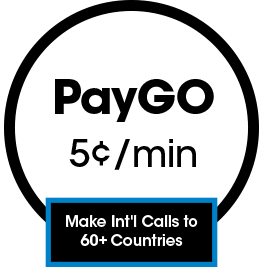 Make International calls to 60+ countries with our PayGO plan. 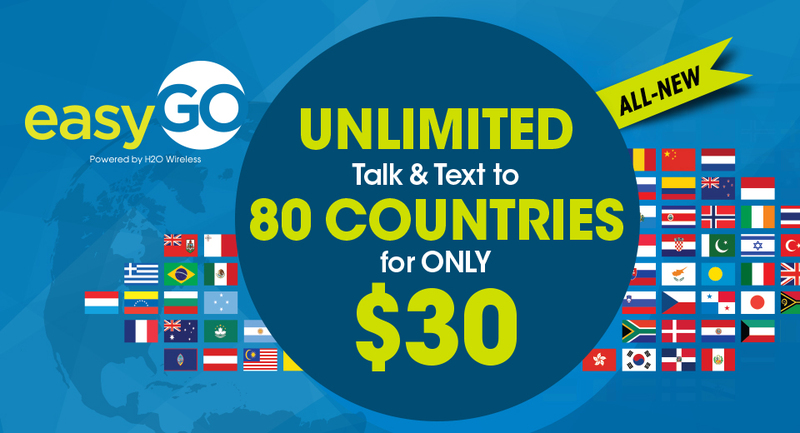 Our easyGO Unlimited Monthly plan includes Unlimited International calls to 11 countries.